Humor, by its nature, tends to have an edge to it, so people typically tone it down at work. It’s hard to do humor well and easy to do it badly. Plus, we all have a tendency to take ourselves way too seriously. So, is business the right place to be funny? 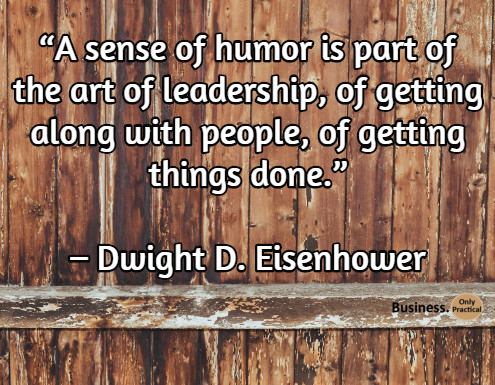 Many think business is a serious place and humor doesn’t have a place in it? We disagree and think humor is greatly underused in business today and can differentiate you from the crowd. Humor is underutilized in business situations. I believe that humor can be what aids your success in nearly every part of your working life. Most of all, humor, if used correctly and appropriately can be the difference between landing the account and hearing that the client is ‘going in another direction’. Humor builds relationships. Using laughter, wisecracks, and banter to build rapport with clients and co-workers. I believe if someone likes you, then that is half the battle won. Once you build a repartee, you can get to know each other and start building a relationship. Humor helps create relationships and build trust. The basis of a good, long-lasting customer relationship is to create trust with them. But humor also begins the relationship with an emotion, maybe surprise or relief or amusement. Whatever the emotion, it is engaging your customer and generates value. Increase the impact of your speeches. Audiences remember things better from speeches when they laugh so get the audience laughing when delivering keynote speeches; they retain more of the message this way. 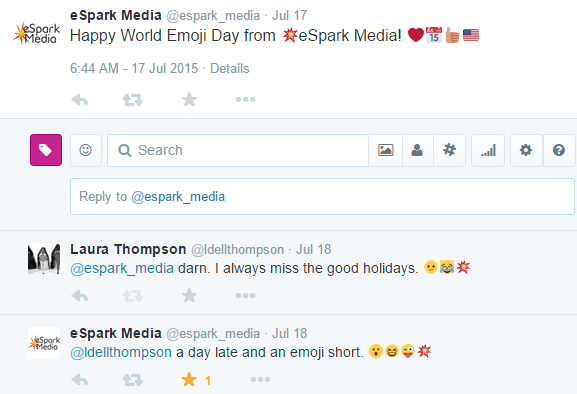 marketing company that specializes in social engagement and content creation) recently used Emojis on a Twitter post to celebrate World Emoji day. When a fan responded, they quickly responded back in a funny and cute way. This also acknowledged the customer and engaged them in the conversation. Engage audiences on a serious topic. Serious points can be a drag for audiences, and unfortunately, the audience may tune out. But if you combine your serious point with humor, they are far more engaged and you can still win them over a serious message. Just be careful to not get carried away with humor if your business is selling a serious service such as estate planning or tombstones. Create a happier work environment. Humor goes a long way in the workplace atmosphere. Laughter can create a happier environment, which in turn creates a more harmonious team. 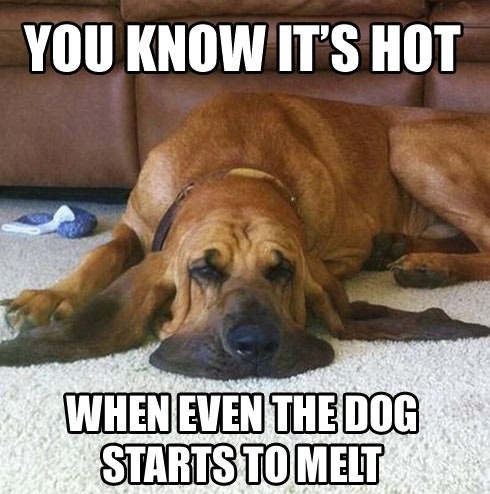 of an HVAC company in Nebraska that recently used this picture on their social media page during an extremely hot spell over the summer. Know the limits of taste. This is critical to successful integration of humor into business. You need to know what would be a great wisecrack to one person could be offensive to another, especially when dealing with international businesses. Always err on the side of caution. In my view, front-line staff should be encouraged to joke with customers, but they have to have the skills to do this. They will set the tone for the experience moving forward. Humor works because it connects with people at an emotional level. We live in a very serious world. Humor provides us a mental break. For many companies, it’s a great way to come across more engaging and naturally-more human. Remember a few years ago when Geiko used a series of commercials that were very effective at getting their brand name across because of the humor in them? So humor may be a bit of a crapshoot, but that doesn’t mean you shouldn’t use it. Just use in moderation and, as always, with caution. What are your thoughts on using humor in social media? Got some good examples? Share and drop links in the comments.